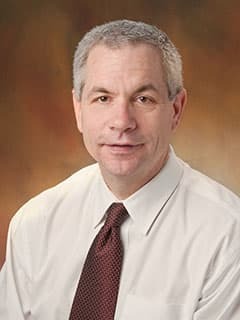 John M. Maris, MD, is a pediatric oncologist at Children's Hospital of Philadelphia, co-head of the Pediatric Cancer Dream Team and holds the Giulio D'Angio Chair in Neuroblastoma Research. At Children's Hospital of Philadelphia, I work with a team of world-class clinicians and scientists dedicated to rapidly translating research about childhood cancers from the laboratory to the patient. We are one of the nation’s leaders in early phase clinical research that intently focuses on improving pediatric cancer cure rates and minimizing long-term side effects. We design studies to help benefit children who have refractory or relapsed diseases for which treatment options may be limited. As we make new discoveries, our goal is to bring them quickly to young patients. My own specialty is neuroblastoma, an often intractable cancer that starts in young nerve cells and can be extremely aggressive. I've been interested in this disease since before medical school, when I had the opportunity to work with noted scientists Drs. Audrey Evans and Britton Chance. I later became convinced that neuroblastoma is a genetic disease, and that we could make critical insights by discovering the genes that cause the cancer. To learn more and make a difference as quickly as possible, I developed a laboratory and translational research program at Children's Hospital to help us focus on the genetic abnormalities in hereditary and sporadic neuroblastoma. We strive to be the world’s leading neuroblastoma research and treatment center as we work to exponentially increase our understanding of this cancer and its underlying biology. Our challenge is to impact clinical practice — an effort we approach with urgency and a large measure of recent success. In the past few years, our team at Children's Hospital has been able to identify the main genes associated with this cancer. As a result, we moved some of these discoveries toward new therapies, a number of which are now in clinical trials. To help support our investigations, my colleagues and I have gathered the largest collection of pediatric neuroblastoma cases ever assembled. This allowed us to perform studies that led to the discovery of neuroblastoma genes and identify who is likely to get the disease. Dr. Yael Mosse and I, along with our colleagues at Children's Hospital, found that mutations of the ALK (anaplastic lymphoma kinase) oncogene explain most hereditary neuroblastomas. The gene is also mutated in cancer cells — making it a therapeutic target for this malignancy. Our neuroblastoma team has made enormous progress as we translate our basic and clinical research into improved therapies. Patients, their families and referring physicians may be confident that our outstanding clinicians and researchers provide the most comprehensive and cutting edge care possible for children with this difficult cancer. Hart LS, Rader J, Raman P, Batra V, Russell MR, Tsang M, Gagliardi M, Chen L, Martinez D, Li Y, Wood A, Kim S, Parasuraman S, Delach S, Cole KA, Krupa S, Boehm M, Peters M, Caponigro G, Maris JM. Preclinical therapeutic synergy of MEK1/2 and CDK4/6 inhibition in neuroblastoma. Clin Cancer Res. 2017;23(7):1785-1796. Zhang S, Wei JS, Li SQ, Badgett TC, Song YK, Agarwal S, Coarfa C, Tolman C, Hurd L, Liao H, He J, Wen X, Liu Z, Thiele CJ, Westermann F, Asgharzadeh S, Seeger RC, Maris JM, Guidry Auvil JM, Smith MA, Kolaczyk ED, Shohet J, Khan J. MYCN controls an alternative RNA splicing program in high-risk metastatic neuroblastoma. Cancer Lett. 2015 Dec 10. pii: S0304-3835(15)00735-1. doi: 10.1016/j.canlet.2015.11.045. [Epub ahead of print] PMID: 26683771. Oldridge DA, Wood AC, Weichert-Leahey N, Crimmins I, Sussman R, Winter C, McDaniel LD, Diamond M, Hart LS, Zhu S, Durbin AD, Abraham BJ, Anders L, Tian L, Zhang S, Wei JS, Khan J, Bramlett K, Rahman N, Capasso M, Iolascon A, Gerhard DS, Guidry Auvil JM, Young RA, Hakonarson H, Diskin SJ, Look AT, Maris JM. Genetic predisposition to neuroblastoma mediated by a LMO1 super-enhancer polymorphism. Nature. 2015 Dec 17;528(7582):418-21. doi: 10.1038/nature15540. Epub 2015 Nov 11. PMID: 26560027. Schnepp RW, Khurana P, Attiyeh EF, Raman P, Chodosh SE, Oldridge DA, Gagliardi ME, Conkrite KL, Asgharzadeh S, Seeger RC, Madison BB, Rustgi AK, Maris JM, Diskin SJ. A LIN28B-RAN-AURKA signaling network promotes neuroblastoma tumorigenesis. Cancer Cell. 2015 Nov 9;28(5):599-609. Schnepp RW, Bosse KR, Maris JM. Improving patient outcomes with cancer genomics: unique opportunities and challenges in pediatric oncology. JAMA. 2015 Sep 1;314(9):881-3. Maris JM, Knudson AG. Revisiting tissue specificity of germline cancer predisposing mutations. Nat Rev Cancer. 2015;15(2):65-6. PMID: 25688405. Attiyeh EF, Maris JM. Identifying rare events in rare diseases. Clin Cancer Res. 2015;21(8):1782-5. PMID: 25424848. Kolb EA, Gorlick R, Keir ST, Maris JM, Kang MH, Reynolds CP, Lock RB, Carol H, Wu J, Kurmasheva RT, Houghton PJ, Smith MA. Initial testing (stage 1) of BAL101553, a novel tubulin binding agent, by the pediatric preclinical testing program. Pediatr Blood Cancer. 2015;62(6):1106-9. PMID: 25407467. PubMed Central ID: 4405429. Smith MA, Hampton OA, Reynolds CP, Kang MH, Maris JM, Gorlick R, Kolb EA, Lock R, Carol H, Keir ST, Wu J, Kurmasheva RT, Wheeler DA, Houghton PJ. Initial testing (stage 1) of the PARP inhibitor BMN 673 by the pediatric preclinical testing program: PALB2 mutation predicts exceptional in vivo response to BMN 673. Pediatr Blood Cancer. 2015;62(1):91-8. PMID: 25263539. Smith MA, Reynolds CP, Kang MH, Kolb EA, Gorlick R, Carol H, Lock RB, Keir ST, Maris JM, Billups CA, Lyalin D, Kurmasheva RT, Houghton PJ. Synergistic Activity of PARP Inhibition by Talazoparib (673) with Temozolomide in Pediatric Cancer Models in the Pediatric Preclinical Testing Program. Clin Cancer Res. 2015;21(4):819-32. PMID: 25500058. Yanik GA, Villablanca JG, Maris JM, Weiss B, Groshen S, Marachelian A, Park JR, Tsao-Wei D, Hawkins R, Shulkin BL, Jackson H, Goodarzian F, Shimada H, Courtier J, Hutchinson R, Haas-Koga D, Hasenauer CB, Czarnecki S, Katzenstein HM, Matthay KK. (131)I-Metaiodobenzylguanidine with Intensive Chemotherapy and Autologous Stem Cell Transplantation for High-Risk Neuroblastoma. A New Approaches to Neuroblastoma Therapy (NANT) Phase II Study. Biol Blood Marrow Transplant. 2015;21(4):673-81. PMID: 25639769. Houghton PJ, Kurmasheva RT, Kolb EA, Gorlick R, Maris JM, Wu J, Tong Z, Arnold MA, Chatterjee M, Williams TM, Smith MA. Initial testing (stage 1) of the tubulin binding agent nanoparticle albumin-bound (nab) paclitaxel (Abraxane) by the Pediatric Preclinical Testing Program (PPTP). Pediatr Blood Cancer. 2015. PMID: 25809532. Carol H, Maris JM, Kang MH, Reynolds CP, Kolb EA, Gorlick R, et al. Initial testing (stage 1) of the notch inhibitor PF-03084014, by the pediatric preclinical testing program. Pediatric blood & cancer. 2014;61(8):1493-6. Meadows AT, Woods WG, Maris JM. The ASPHO 2014 distinguished career award goes to Dr. Beverly Lange. Pediatric blood & cancer. 2014;61 Suppl 1:A1-2. McDaniel LD, Maris JM. The promises and pitfalls of genetic epidemiologic approaches to pediatric cancers: Lessons from MDM2. Pediatric blood & cancer. 2014. Diskin SJ, Capasso M, Diamond M, Oldridge DA, Conkrite K, Bosse KR, et al. Rare variants in TP53 and susceptibility to neuroblastoma. Journal of the National Cancer Institute. 2014;106(4):dju047. Pinto N, Gamazon ER, Antao N, Myers J, Stark AL, Konkashbaev A, et al. Integrating cell-based and clinical genome-wide studies to identify genetic variants contributing to treatment failure in neuroblastoma patients. Clinical pharmacology and therapeutics. 2014;95(6):644-52. Murakami-Tonami Y, Kishida S, Takeuchi I, Katou Y, Maris JM, Ichikawa H, et al. Inactivation of SMC2 shows a synergistic lethal response in MYCN-amplified neuroblastoma cells. Cell cycle. 2014;13(7):1115-31. Gorlick R, Kolb EA, Keir ST, Maris JM, Reynolds CP, Kang MH, Carol H, Lock R, Billups CA, Kurmasheva RT, Houghton PJ, Smith MA. Initial Testing (Stage 1) of the Polo-Like Kinase Inhibitor Volasertib (Bi 6727), by the Pediatric Preclinical Testing Program. Pediatric Blood & Cancer. 61:158-164, 2014 (PMID 23956067). Rader J, Russell MR, Hart LS, Nakazawa MS, Belcastro LT, Martinez D, Li Y, Carpenter EL, Attiyeh EF, Diskin SJ, Kim S, Parasuraman S, Caponigro G, Schnepp RW, Wood AC, Pawel B, Cole KA, Maris JM. Dual Cdk4/Cdk6 Inhibition Induces Cell-Cycle Arrest and Senescence in Neuroblastoma. Clinical Cancer Research. 19:6173-6182, 2013 (PMID 24045179). Carol H, Gorlick R, Kolb EA, Morton CL, Manesh DM, Keir ST, Reynolds CP, Kang MH, Maris JM, Wozniak A, Hickson I, Lyalin D, Kurmasheva RT, Houghton PJ, Smith MA, Lock R. Initial Testing (Stage 1) of the Histone Deacetylase Inhibitor, Quisinostat (Jnj-26481585), by the Pediatric Preclinical Testing Program. Pediatric Blood & Cancer. 2013 (PMID 24038993). Houghton PJ, Kurmasheva RT, Kolb EA, Wu J, Gorlick R, Maris JM, Smith MA. Initial Testing (Stage 1) of Tak-701, a Humanized Hepatocyte Growth Factor Binding Antibody, by the Pediatric Preclinical Testing Program. Pediatric Blood & Cancer. 2013 (PMID 24019233). Wang LL, Suganuma R, Ikegaki N, Tang X, Naranjo A, McGrady P, London WB, Hogarty MD, Gastier-Foster JM, Look AT, Park JR, Maris JM, Cohn SL, Seeger RC, Shimada H. Neuroblastoma of Undifferentiated Subtype, Prognostic Significance of Prominent Nucleolar Formation, and Myc/Mycn Protein Expression: A Report from the Children's Oncology Group. Cancer. 119:3718-3726, 2013 (PMID 23901000). Kreissman SG, Seeger RC, Matthay KK, London WB, Sposto R, Grupp SA, Haas-Kogan DA, Laquaglia MP, Yu AL, Diller L, Buxton A, Park JR, Cohn SL, Maris JM, Reynolds CP, Villablanca JG. Purged Versus Non-Purged Peripheral Blood Stem-Cell Transplantation for High-Risk Neuroblastoma (Cog A3973): A Randomised Phase 3 Trial. The Lancet Oncology. 14:999-1008, 2013 (PMID 23890779). Hill-Kayser C, Tochner Z, Both S, Lustig R, Reilly A, Balamuth N, Womer R, Maris J, Grupp S, Bagatell R. Proton Versus Photon Radiation Therapy for Patients with High-Risk Neuroblastoma: The Need for a Customized Approach. Pediatric Blood & Cancer. 60:1606-1611, 2013 (PMID 23737005). Wood AC, Maris JM, Gorlick R, Kolb EA, Keir ST, Reynolds CP, Kang MH, Wu J, Kurmasheva RT, Whiteman K, Houghton PJ, Smith MA. Initial Testing (Stage 1) of the Antibody-Maytansinoid Conjugate, Imgn901 (Lorvotuzumab Mertansine), by the Pediatric Preclinical Testing Program. Pediatric Blood & Cancer. 60:1860-1867, 2013 (PMID 23798344). 236. Wilzen A, Krona C, Sveinbjornsson B, Kristiansson E, Dalevi D, Ora I, De Preter K, Stallings RL, Maris J, Versteeg R, Nilsson S, Kogner P, Abel F. ERBB3 is a marker of a ganglioneuroblastoma/ganglioneuroma-like expression profile in neuroblastic tumours. Mol Cancer. 2013 Jul 8;12(1):70. Kolb EA, Gorlick R, Reynolds CP, Kang MH, Carol H, Lock R, Keir ST, Maris JM, Billups CA, Desjardins C, Kurmasheva RT, Houghton PJ, Smith MA. Initial testing (stage 1) of eribulin, a novel tubulin binding agent, by the pediatric preclinical testing program. Pediatr Blood Cancer. 2013 Aug;60(8):1325-32. Maurer BJ, Kang MH, Villablanca JG, Janeba J, Groshen S, Matthay KK, Sondel PM, Maris JM, Jackson HA, Goodarzian F, Shimada H, Czarnecki S, Hasenauer B, Reynolds CP, Marachelian A. Phase I trial of fenretinide delivered orally in a novel organized lipid complex in patients with relapsed/refractory neuroblastoma: A report from the New Approaches to Neuroblastoma Therapy (NANT) consortium. Pediatr Blood Cancer. 2013 Jun 29. Mosse YP, Lim MS, Voss SD, Wilner K, Ruffner K, Laliberte J, Rolland D, Balis FM, Maris JM, Weigel BJ, Ingle AM, Ahern C, Adamson PC, Blaney SM. Safety and Activity of Crizotinib for Paediatric Patients with Refractory Solid Tumours or Anaplastic Large-Cell Lymphoma: A Children's Oncology Group Phase 1 Consortium Study. The Lancet Oncology. 14:472-480, 2013 (PMID 23598171). Pugh TJ, Morozova O, Attiyeh EF, Asgharzadeh S, Wei JS, Auclair D, Carter SL, Cibulskis K, Hanna M, Kiezun A, Kim J, Lawrence MS, Lichenstein L, McKenna A, Pedamallu CS, Ramos AH, Shefler E, Sivachenko A, Sougnez C, Stewart C, Ally A, Birol I, Chiu R, Corbett RD, Hirst M, Jackman SD, Kamoh B, Khodabakshi AH, Krzywinski M, Lo A, Moore RA, Mungall KL, Qian J, Tam A, Thiessen N, Zhao Y, Cole KA, Diamond M, Diskin SJ, Mosse YP, Wood AC, Ji L, Sposto R, Badgett T, London WB, Moyer Y, Gastier-Foster JM, Smith MA, Auvil JM, Gerhard DS, Hogarty MD, Jones SJ, Lander ES, Gabriel SB, Getz G, Seeger RC, Khan J, Marra MA, Meyerson M, Maris JM. The Genetic Landscape of High-Risk Neuroblastoma. Nature Genetics. 45:279-284, 2013 (PMID 23334666). Gamazon ER, Pinto N, Konkashbaev A, Im HK, Diskin SJ, London WB, Maris JM, Dolan ME, Cox NJ, Cohn SL. Trans-Population Analysis of Genetic Mechanisms of Ethnic Disparities in Neuroblastoma Survival. Journal of the National Cancer Institute. 105:302-309, 2013 (PMID 23243203). Capasso M, Diskin SJ, Totaro F, Longo L, Mariano MD, Russo R, Cimmino F, Hakonarson H, Tonini GP, Devoto M, Maris JM, Iolascon A. Replication of Gwas-Identified Neuroblastoma Risk Loci Strengthens the Role of Bard1 and Affirms the Cumulative Effect of Genetic Variations on Disease Susceptibility. Carcinogenesis. 34:605-611, 2013 (PMID 23222812). Park JR, Bagatell R, London WB, Maris JM, Cohn SL, Mattay KM, Hogarty M. Children's Oncology Group's 2013 Blueprint for Research: Neuroblastoma. Pediatric Blood & Cancer. 60:985-993, 2013 (PMID 23255319). Suganuma R, Wang LL, Sano H, Naranjo A, London WB, Seeger RC, Hogarty MD, Gastier-Foster JM, Look AT, Park JR, Maris JM, Cohn SL, Amann G, Beiske K, Cullinane CJ, d'Amore ES, Gambini C, Jarzembowski JA, Joshi VV, Navarro S, Peuchmaur M, Shimada H. Peripheral Neuroblastic Tumors with Genotype-Phenotype Discordance: A Report from the Children's Oncology Group and the International Neuroblastoma Pathology Committee. Pediatric Blood & Cancer. 60:363-370, 2013 (PMID 22744966). Yanik GA, Parisi MT, Shulkin BL, Naranjo A, Kreissman SG, London WB, Villablanca JG, Maris JM, Park JR, Cohn SL, McGrady P, Matthay KK. Semiquantitative Mibg Scoring as a Prognostic Indicator in Patients with Stage 4 Neuroblastoma: A Report from the Children's Oncology Group. Journal of nuclear medicine : official publication, Society of Nuclear Medicine. 54:541-548, 2013 (PMID 23440556). Chand D, Yamazaki Y, Ruuth K, Schonherr C, Martinsson T, Kogner P, Attiyeh EF, Maris J, Morozova O, Marra MA, Ohira M, Nakagawara A, Sandstrom PE, Palmer RH, Hallberg B. Cell culture and Drosophila model systems define three classes of anaplastic lymphoma kinase mutations in neuroblastoma. Dis Model Mech. 2013 Mar;6(2):373-82. (PMID 23104988). Keir ST, Maris JM, Reynolds CP, Kang MH, Kolb EA, Gorlick R, Lock R, Carol H, Morton CL, Wu J, Kurmasheva RT, Houghton PJ, Smith MA. Initial testing (stage 1) of temozolomide by the pediatric preclinical testing program. Pediatr Blood Cancer. 2013 May;60(5):783-90 (PMID 23335050). Lock RB, Carol H, Maris JM, Kang MH, Reynolds CP, Kolb EA, Gorlick R, Keir ST, Billups CA, Kurmasheva RT, Houghton PJ, Smith MA. Initial testing (stage 1) of ganetespib, an Hsp90 inhibitor, by the pediatric preclinical testing program. Pediatr Blood Cancer. 2013 Jul;60(7):E42-5. (PMID 23303741). Carol H, Reynolds CP, Kang MH, Keir ST, Maris JM, Gorlick R, Kolb EA, Billups CA, Geier B, Kurmasheva RT, Houghton PJ, Smith MA, Lock RB. Initial Testing of the MDM2 Inhibitor Rg7112 by the Pediatric Preclinical Testing Program. Pediatric blood & cancer. 60:633-641, 2013 (PMID 22753001). Seif AE, Naranjo A, Baker DL, Bunin NJ, Kletzel M, Kretschmar CS, Maris JM, McGrady PW, von Allmen D, Cohn SL, London WB, Park JR, Diller LR, Grupp SA. A Pilot Study of Tandem High-Dose Chemotherapy with Stem Cell Rescue as Consolidation for High-Risk Neuroblastoma: Children's Oncology Group Study ANBL00P1. Bone Marrow Transplantation. 2013 (PMID 23334272). Russell MR, Levin K, Rader J, Belcastro L, Li Y, Martinez D, Pawel B, Shumway SD, Maris JM, Cole KA. Combination Therapy Targeting the Chk1 and Wee1 Kinases Shows Therapeutic Efficacy in Neuroblastoma. Cancer Research. 73:776-784, 2013 (PMID 23135916). Mayes PA, Degenhardt YY, Wood A, Toporovskya Y, Diskin SJ, Haglund E, Moy C, Wooster R, Maris JM. Mitogen-Activated Protein Kinase (Mek/Erk) Inhibition Sensitizes Cancer Cells to Centromere-Associated Protein E Inhibition. International Journal of Cancer. 132:E149-157, 2013 (PMID 22948716). Diskin SJ, Capasso M, Schnepp RW, Cole KA, Attiyeh EF, Hou C, Diamond M, Carpenter EL, Winter C, Lee H, Jagannathan J, Latorre V, Iolascon A, Hakonarson H, Devoto M, Maris JM. Common variation at 6q16 within HACE1 and LIN28B influences susceptibility to neuroblastoma. Nat Genet. 2012 Oct;44(10):1126-30. PubMed PMID: 22941191; PubMed Central PMCID: PMC3459292. Cole KA, Huggins J, Laquaglia M, Hulderman CE, Russell MR, Bosse K, Diskin SJ, Attiyeh EF, Sennett R, Norris G, Laudenslager M, Wood AC, Mayes PA, Jagannathan J, Winter C, Mosse YP, Maris JM. RNAi screen of the protein kinome identifies checkpoint kinase 1 (CHK1) as a therapeutic target in neuroblastoma. Proc Natl Acad Sci U S A. 2011 Feb 22;108(8):3336-41. PubMed PMID: 21289283; PubMed Central PMCID: PMC3044382. Bresler SC, Wood AC, Haglund EA, Courtright J, Belcastro LT, Plegaria JS, Cole K, Toporovskaya Y, Zhao H, Carpenter EL, Christensen JG, Maris JM, Lemmon MA, Mossé YP. Differential inhibitor sensitivity of anaplastic lymphoma kinase variants found in neuroblastoma. Sci Transl Med. 2011 Nov 9;3(108):108ra114. PubMed PMID: 22072639; PubMed Central PMCID: PMC3319004. Wang K, Diskin SJ, Zhang H, Attiyeh EF, Winter C, Hou C, Schnepp RW, Diamond M, Bosse K, Mayes PA, Glessner J, Kim C, Frackelton E, Garris M, Wang Q, Glaberson W, Chiavacci R, Nguyen L, Jagannathan J, Saeki N, Sasaki H, Grant SF, Iolascon A, Mosse YP, Cole KA, Li H, Devoto M, McGrady PW, London WB, Capasso M, Rahman N, Hakonarson H, Maris JM. Integrative genomics identifies LMO1 as a neuroblastoma oncogene. Nature. 2011 Jan 13;469(7329):216-20. PubMed PMID: 21124317; PubMed Central PMCID: PMC3320515. a. Yu AL, Gilman AL, Ozkaynak MF, London WB, Kreissman SG, Chen HX, Smith M, Anderson B, Villablanca JG, Matthay KK, Shimada H, Grupp SA, Seeger R, Reynolds CP, Buxton A, Reisfeld RA, Gillies SD, Cohn SL, Maris JM, Sondel PM. Anti-GD2 antibody with GM-CSF, interleukin-2, and isotretinoin for neuroblastoma. N Engl J Med. 2010 Sep 30;363(14):1324-34. PubMed PMID: 20879881; PubMed Central PMCID: PMC3086629. Mossé YP, Laudenslager M, Longo L, Cole KA, Wood A, Attiyeh EF, Laquaglia MJ, Sennett R, Lynch JE, Perri P, Laureys G, Speleman F, Kim C, Hou C, Hakonarson H, Torkamani A, Schork NJ, Brodeur GM, Tonini GP, Rappaport E, Devoto M, Maris JM. Identification of ALK as a major familial neuroblastoma predisposition gene. Nature. 2008 Oct 16;455(7215):930-5. PubMed PMID: 18724359; PubMed Central PMCID: PMC2672043. Raabe EH, Laudenslager M, Winter C, Wasserman N, Cole K, LaQuaglia M, Maris DJ, Mosse YP, Maris JM. Prevalence and functional consequence of PHOX2B mutations in neuroblastoma. Oncogene. 2008 Jan 17;27(4):469-76. PubMed PMID: 17637745. Maris JM, Mosse YP, Bradfield JP, Hou C, Monni S, Scott RH, Asgharzadeh S, Attiyeh EF, Diskin SJ, Laudenslager M, Winter C, Cole KA, Glessner JT, Kim C, Frackelton EC, Casalunovo T, Eckert AW, Capasso M, Rappaport EF, McConville C, London WB, Seeger RC, Rahman N, Devoto M, Grant SF, Li H, Hakonarson H. Chromosome 6p22 locus associated with clinically aggressive neuroblastoma. N Engl J Med. 2008 Jun 12;358(24):2585-93. PubMed PMID: 18463370; PubMed Central PMCID: PMC2742373. Attiyeh EF, London WB, Mossé YP, Wang Q, Winter C, Khazi D, McGrady PW, Seeger RC, Look AT, Shimada H, Brodeur GM, Cohn SL, Matthay KK, Maris JM. Chromosome 1p and 11q deletions and outcome in neuroblastoma. N Engl J Med. 2005 Nov 24;353(21):2243-53. PubMed PMID: 16306521. Mosse YP, Laudenslager M, Khazi D, Carlisle AJ, Winter CL, Rappaport E, Maris JM. Germline PHOX2B mutation in hereditary neuroblastoma. Am J Hum Genet. 2004 Oct;75(4):727-30. PubMed PMID: 15338462; PubMed Central PMCID: PMC1182065. Larry Wang, Risa Teshiba, Arlene, Naranjo, Naohiko Ikegaki, Xao X. Tang, Julie M. Gastier-Foster, Shahab Asgharzadeh, Robert C. Seeger, Michael D. Hogarty, Wendy B. London, Susan L. Cohn, Julie R. Park, John M. Maris, Hiroyuki Shimada. MYCN/MYC Protein Expression in Neuroblastoma, Undifferentiated and Poorly Differentiated Subtype – C- myc Activation is a New Marker for Aggressive Tumor Behavior: A report from the COG Neuroblastoma Committee. ANR Congress 2014, Cologne, Germany, May 13 – 16, 2014. Vandana Batra, Ann-Marie Chacko, Maria Gagliardi, Catherine Hou, John I. Mikitsh, Richard H. Freifelder Alex Kachur, Ben C LeGeyt, Alexander Schmitz, Larry Toto, Ganesan Vaidyanathan, Michael R. Zalutsky, Katherine K. Matthay, William A. Weiss, William Clay, Daniel A. Pryma, John M. Maris. Preclinical development of meta-[211At]astatobenzylguanidine [211At]MABG) Targeted Radiotherapy for Neuroblastoma. ANR Congress 2014, Cologne, Germany, May 13 – 16, 2014. Edward Attiyeh, Pietro Ranieri, Rebecca Trillo, Yosef Landesman, William Senapedis, Dilara McCauley, Trinayan Kashyap, Sharon Shacham, Michael A Kauffman, John M. Maris. Inhibition of Exportin 1 (XPO1) Potently Suppresses Growth of Human Neuroblastoma Cell Lines. ANR Congress 2014, Cologne, Germany, May 13 – 16, 2014. Lori Hart, Julie Ann Rader, Pichai Raman, Vandana Batra, Marika Gagliardi, Michael Russell, Lucy Chen, Deborah Watson, Patrick Warren, Christine Fritsch, Sunkyu Kim, Sudha Parasira,am. Goprdamp Ca[pmogro, Malte Boehm, John M. Maris. Combined Inhibition of CDK4/6 and MEK ½ in Preclinical Models of Neuroblastoma. ANR Congress 2014, Cologne, Germany, May 13 – 16, 2014. Vandana Batra, Alexandra Miller, Lisa J. States, Aashim Bhatia, Yimei Li, John M. Maris, Rochelle Bagatell. Response in Soft Tissue Lesions Following Therapeutic (131)MIBG in Children with Neuroblastoma. ANR Congress 2014, Cologne, Germany, May 13 – 16, 2014. Mehmet Ozkaynak, Andrew I. Gilman, Alice L, Yu, Wendy B, London, Paul M. Sondel, Malcolm Smith, Robert Seeger, Patrick Reynolds, John M. Maris, Julie R. Park. Phase I Study of Anti-GD2 Humanized 3FB (hu3FB) Monoclonal Antibody (MAb) Plus Granlocyte-macrophage Colony Stimulating Factor (GM-CSF) in Patients with Relapsed High-risk Neuroblastoma (HR-NB). ANR Congress 2014, Cologne, Germany, May 13 – 16, 2014. Yuko Murakami-Tonami, Satoshi Kishida, Ichiro Takeuchi, Yuki Katou, John M. Maris, Hitoshi Ichikawa, Yoshitaka Sekido, Katsuhiko Shirahige, Hiroshi Murakami. Inactivation of SMC2 Shows a Synergistic lethal Response In MYCN-amplified Neuroblastoma Cells. ANR Congress 2014, Cologne, Germany, May 13 – 16, 2014. Gonzalo Lopez, Presha Rajbhandan, James Chen, Federico M. Giorgi, Kristina A. Cole, Celine Lefebvre, Edward Attiyeh, Sharon Diskin, John M. Maris Elucidating Molecular Mechanisms of Oncogene and Non-oncogene Addiction in Pediatric Neuroblastoma. ANR Congress 2014, Cologne, Germany, May 13 – 16, 2014. Sharon J. Diskin, Lee McDaniel, Derek A. Oldridge, Edward Attiyeh, Shahab Asgharzadah, Daniel J. Weisenberger, Hui Shen, Maura Diamond, Jaime Guidry Auvil, Tanja Davidsen, Malcolm Smith, Daniela S. Gerhardt, Michael Hogarty, Wendy B. London, Javed Khan, Robert Seeger, Peter W. Laird, John M. Maris. Integrative Genomic and Epigenomic Characterization of Stage 45 Neuroblastoma. ANR Congress 2014, Cologne, Germany, May 13 – 16, 2014. Navin Pinto, Eri R. Gamazon, Nirav Antao, Hae Kyung Im, Sharon J. Diskin, Wendy B. London, John M. Maris, Nancy J. Cox, Susan I. Cohn, Eileen Dolan. Integrating Cell-Based and Clinical Genome-Wide Studies to Identify Genetic Variants Contributing to Treatment Failure in Neuroblastoma Patients. ANR Congress 2014, Cologne, Germany, May 13 – 16, 2014. Navin Pinto, Eric R. Gamazon, Anuar Konkashbaev, Sharon J. Diskin, Wendy B. London, John Maris, Susan J. Cohn, Nancy J. Cox. Function-Based Genome-Wide Association Study Reveals cis-and trans- Modulators of BARD1 Expression are Associated with the Development of High-Risk Neuroblastoma. ANR Congress 2014, Cologne, Germany, May 13 – 16, 2014. Robert Schnepp, Priya Khurana, Maria Gagliardi, Sara Chodosh, John M. Maris, Sharon J. Diskin. A LIN28B/RAN/AURKA Signaling Network Promotes Neuroblastoma Tumorigenesis. ANR Congress 2014, Cologne, Germany, May 13 – 16, 2014. Alice Yu, Andrew L. Gilman, Fevzi N, Ozkaynak, Paul M. Sondel, Wendy B. London,Sheena Cretella, Mitchell Diccianni, Susan L. Cohn, John Maris, Malcolm A. Smith, Julie R. Park. Update of Outcome for High-Risk Neuroblastoma Treated on a randomized Trial of Chimeric Anti-GD2 Antibody (ch14.18) + GM-CSF / IL2 Immunotherapy in 1st Response: A Children’s Oncology Group Study. ANR Congress 2014, Cologne, Germany, May 13 – 16, 2014. Pedro de Alarcon, Wendy B. London, Arlene Naranjo, Mark Gorman, Jessica A. Panzer, Susan Cohn, John Maris. A Randomized Clinical Trial of Cyclophosphamide and Prednisone with or without intravenous immunoglobulin (IVIG) for the Treatment of Neuroblastoma Associated Opsoclonus Myoclonus Ataxia Syndrome (OMA): A Children’s Oncology Group Trial. ANR Congress 2014, Cologne, Germany, May 13 – 16, 2014. Steven DuBois, Yael Mosse, Elizabeth Fox, Joel Reid, Susan Groshen, Scarlett Czamecki, Denice Tsao-Wei, Rochelle Bagatell, John Maris, Lars Wagner, Rachel Kudgus, Araz Marachelian, Katherine Matthay. Phase I Study of the Aurora A Kinase Inhibitor MLN8237 with Irinotecan and Temozolomide for Patients with Relapsed or Refractory Neuroblastoma: A Report from the New Approaches to Neuroblastoma Therapy (NANT) Consortium. ANR Congress 2014, Cologne, Germany, May 13 – 16, 2014. Clare Twist, Wendy B. London, Arlene Naranjo, Mary L. Schmidt, E. Stanton Adkins, Peter Mattei, Susan J. Cohn, Julie R. Park, John M. Maris, Maintaining Outstanding Outcomes Using Response and Biology-Based Therapy for Intermediate-Risk Neuroblastoma: A Report from the Children’s Oncology Group Study ANBL0531. ANR Congress 2014, Cologne, Germany, May 13 – 16, 2014. Robert Schnepp, Lori H. Soffer, Pichai Raman, Laura Danielson, Maria Gagliardi, Ryan Kinsey, Priya Khaurana, Anastasia Wyce, Peter Tummino, Michael Russell, Louis Chesler, John M. Maris. Defining Sensitivity Profiles for Bromodomain and Extra-Termoma; (BET) Protein Inhibition. ANR Congress 2014, Cologne, Germany, May 13 – 16, 2014. Derek Oldridge, Lee McDaniel, Edward Attiyeh, Shahab Asgharzadeh, Maura Diamond, Jaime Guidry Auvil, Tanja Davidsen, Malcolm Smith, Daniela S. Gerhard, Julie Gastier-Foster, Michael Hogarty, Wendy London, Javed Khan, Robert Seeger. Sjarpm K/ Diskin, John M. Maris. High-Risk Neuroblastoma Genomic Plasticity Allows for Significant Clonal Evolution under the Selective Pressure of Chemotherapy. ANR Congress 2014, Cologne, Germany, May 13 – 16, 2014. Shahab Asgharzadeh, Hui Shen, Janathan Gnanchandran, Linguyn Ji, Peter Wakamatsu, Daniel J. Weisenberger, Matthias Fischer, Eddie Attiyeh, Jun D. Wei, Jaime Guidry Auvil, Malcolm Smith, Daniela S. Gerhard, Julie Gastier-Foster, Michael Hogarty, Wendy B. London, Andre Oberthur, Frank Berthold, Timothy Triche, Hiroyuki Shimada, Richard Sposto, Javed Khan, John M. Maris, Peter W. Laird, Robert C. Seeger. Integrated Genomic Analyses Identifies Neural, Metabolic, and Inflammatory Subgroups of High-Risk Neuroblastoma with Clinical Significance. ANR Congress 2014, Cologne, Germany, May 13 – 16, 2014. Sharon Diskin, Karina Conkrite, Lee McDaniel, Derek A. Oldridge, Edward Attiyeh, Shahab Asgharzadeh, Maura Diamond, Jaime Guidry Auvil, Tanja Davidson, Malcolm Smith, Daniela S. Gerhardt, Wendy B. London, Javed Chan, Robert Seeger, John Maris. Identification of Recurrent Germline and Somatic Structural Variations (SV’s) Influencing Tumorigenesis. ANR Congress 2014, Cologne, Germany, May 13 – 16, 2014. Derek Oldridge, Andrew C. Wood, Shizhen Zhu, Takomi Sanda, Gonzalo G. Lopez,Ian Crimmins, Cynthia Winter, Lars Anders, Jun S. Wei, Sharon J. Diskin, Nazneen Rahman, Mario Capasso, Javed Khan, Andrea Califano, Richard A. Young, A. Thomss Look. The Neuroblastoma Oncogene LM01: Mechanisms for Tumor Initiation and Progression. ANR Congress 2014, Cologne, Germany, May 13 – 16, 2014. Lori Hart, Vandana Batra, Pichai Raman, Maria Gagliardi, JulieAnn Rader, Lucy Chen, Christine Fritsch, Giordano Caponigro, Malte Peters, Markus Boehm, John M. Maris. MEK 1/2 inhibition and biomarkers of response in preclinical models of neuroblastoma. AACR Special Conference on Pediatric Cancer 2013, San Diego, CA, November 3 – 6, 2013. Maris JM and Shusterman S. Neuroblastoma. In Holland JC and Frei E (eds), Cancer Medicine, 7th Edition, BC Decker, Lewiston, NY, in press. Attiyeh E and Maris JM: Hepatoblastoma: In Brodeur GM and Manno CS (eds), Requisites in Pediatrics: Hematology and Oncology, Elsevier Health Sciences, Philadelphia, PA, in press. Brodeur GM, Hogarty MD, Mosse YP and Maris JM: Neuroblastoma. In Pizzo PA and Poplack DG (eds), Principles and Practice of Pediatric Oncology, 6th Edition, Lippincott Williams & Wilkins, Philadelphia, PA, pp. 886-923, 2011. Brodeur GM and Maris JM: Neuroblastoma. In Pizzo PA and Poplack DG (eds), Principles and Practice of Pediatric Oncology, 5th Edition, Lippincott Williams & Wilkins, Philadelphia, PA, pp. 933-970, 2006. Maris JM and Shusterman S. Neuroblastoma. In Holland JC and Frei E (eds), Cancer Medicine, 6th Edition, BC Decker, Lewiston, NY, 2263-2376, 2003. Fang J, Stern JW, Shusterman S, Alcorn K, Pierson G, Barr R, Pawel B, Diller L, Maris JM, and Grupp SA. In Berdel WE, Jurgens H, Buchner Th, Ritter J, Kienast J, Vormoor J (eds), Transplantation in Hematology and Oncology II, Springer-Verlag Berlin Heidelberg, pp 283-298, 2003. Maris JM, Matthay KK and Sondel PM: Current and future treatment strategies for high-risk neuroblastoma. ASCO Education Book 2002, 497-511, 2002. Brodeur GM and Maris JM: Neuroblastoma. In Pizzo PA and Poplack DG (eds), Principles and Practice of Pediatric Oncology, 4th Edition, Lippincott Williams & Wilkins, Philadelphia, PA, pp. 895-937, 2002. Brodeur GM and Maris JM: Neuroblastoma. In Rudolph AM, Rudolph CD, Siegel NJ, Lister G and Hostetter MK (eds), Rudolph’s Pediatrics, 21st Edition, Appleton & Lange, Stamford, CT, pp. 1617-1620, 2002. Maris JM and Brodeur GM: Genetics of neuroblastoma. In Cowell J (ed), Molecular Genetics of Cancer, 2nd Edition, BIOS Publishing, Oxford, UK, pp. 335-361, 2001. Maris JM and Tonini GP: Genetics of familial neuroblastoma. Neuroblastoma, Elsevier Science, B.V., Amsterdam, pp. 125-136, 2000. Maris JM: Hepatoblastoma and hepatocellular carcinoma. In: Clinical Pediatric Gastroenterology; eds. Altschuler SA, Liacouras CA, Churchill Livingstone, Philadelphia, PA, pp. 397-404 1998. Chance B, Graham T, Maris J and Leigh JS Jr.: Resting (state 4) to active (state 3) transitions as observed by 31P NMR in steady state skeletal muscle exercise in normal human subjects. In, Jones, N.L., McCartney, N. and McComas, A.J. (eds), Human Muscle Power, Human Kinetics Publishers, Inc. Champaign, IL, pp. 239-252, 1986. Maris JM and Chance B: Magnetic resonance spectroscopy of neoplasms. In, Kressel, H.Y. (ed), Magnetic Resonance Annual, Raven Press; New York, NY, pp. 213-235, 1986. Maris JM, Evans AE, Bolinger L, McLaughlin AC, and Chance B: Analysis of the metabolism of lipid precursors in human neuroblastoma by 31P NMR spectroscopy. In, Allen, P. and Boisvert, D.P.J. (eds), Magnetic Resonance in Cancer, Pergamon Press; Toronto, Canada, pp. 83-90, 1986. Translating genomic landscapes into better treatments: Opportunities and challenges in neuroblastoma. American Association for Cancer Research Annual Meeting 2015; Recent Advances Session, Philadelphia, PA, April 2015. Translational Genomics for Childhood Cancers: Poised to make a clinical impact? University of Iowa Frontiers in Pediatric Research Seminar Series, Iowa City, Iowa, March 2015. Recent insights into neuroblastoma initiation, progression and therapy. American Association for Cancer Research Special Conference on MYC Biology, San Diego, CA, January 2015. Neuroblastoma Genomics: Focus on Newly Diagnosed Patients. National Cancer Institute Special Conference on Pediatric Genomics, Bethesda, MD, February 2014. The Children’s Hospital of Philadelphia Approach to Refractory Neuroblastoma: What’s next? NCCA UK Conference, London, England, November 2014. Challenges and opportunities towards genomic biomarker-driven treatment of childhood cancer. Terry Fox Research Symposium Keynote Speaker, Vancouver, British Columbia, Canada, November 2014. Precision therapy for neuroblastoma: Challenges and opportunities. Epilepsy Medicine in the Era of Precision Medicine Conference, Half Moon Bay, CA, September 2014. Can Cancer Genomics Guide Therapy Assignments? – Grand Round – Johns Hopkins, Baltimore, MD, June 2014. A look back at 50 years of pediatric oncology research. Major Symposium. American Society of Clinical Oncology Annual Meeting, Chicago, IL, June 1014. A genome-wide association study (GWAS) identifies susceptibility alleles within neuroblastoma oncogenes and tumor suppressors. An explanation for the paucity of somatic mutations? Advances in Neuroblastoma Research, Cologne, Germany, May 2014. The Therapeutically Applicable Research to Generate Effective Treatments (TARGET) in Neuroblastoma Project. Special Session. American Association for Cancer Research Annual Meeting, San Diego, CA, April 2014. Germline variation associated with neuroblastoma identified key oncogenic drivers of high-risk disease. Major Symposium. American Association for Cancer Research Annual Meeting, San Diego, CA, April 2014. Integrative genomics to personalize neuroblastoma therapy. Hospital for Sick Children Seminar Series, Toronto, Canada, March 2014. The State of Pediatric Cancer Research Viewpoint of an extramural physician-scientist. 64th Meeting of the National Cancer Institute (NCI). Director’s Consumer Liaison Group (DCLG). NIH Campus, Bethesda, MD, February 2014. Biomarkers and the Future of Pediatric Cancer Care. Pediatric Oncology Group of Ontario, Innovation in Pediatric Oncology Symposium, Toronto, Canada, November 2013. What Childhood Cancers Can Teach us About Tumor Initiation and Progression. Temple University/Fels Institute, Philadelphia, PA, November 2013. Now the hard part: Translating recent advances into improved childhood cancer outcomes. Keynote address at the American Association for Cancer Research Special Conference in Pediatric Oncology, San Diego, CA, November 2013. The influence of host genetic variation on cancer susceptibility and outcomes. Cedar’s Cancer Center Seminar Series, Montreal, Canada, October 2013. Personalized Pediatric Cancer Therapy: Promises and Challenges. N. Blair Whittemore Visiting Professor for Sarah’s Fund, Pediatric Grand Rounds, Montreal Children’s Hospital, Montreal, Canada, October 2013. The Influence of Host Genetic Variation on Cancer Susceptibility and Outcomes, Dana-Farber Seminars in Oncology, Boston, MA, September 2013. Neuroblastoma genetics: From N-myc to MYCN to improving patient outcomes. 30 Years of Neuroblastoma Genomics: From Basic Science to Personalized Oncology. International Farewell Symposium for Manfred Schwab. Heidelberg, Germany, June 2013. Integration of Somatic and Germline Genomic Information. National Cancer Institute Special Conference; Making Sense of the Sequence: Applications in Population Science. Rockville, MD, May 2013. Host genetic architecture influences pediatric cancer susceptibility and sustenance. Herbert Irving Comprehensive Cancer Center Distinguished Seminar Series, Columbia University, New York, NY, May 2013. Therapeutically Applicable Research to Generate Effective Treatments: Neuroblastoma. American Association for Cancer Research Annual Meeting, Washington, DC, April 2013. From susceptibility to targeted therapies. Major Symposium. American Association for Cancer Research Annual Meeting, Washington, DC, April 2013. Cancer genomics: What’s next? Regulatory Networks in Health and Disease Seminar Series, Duke University, Durham, NC, February 2013.